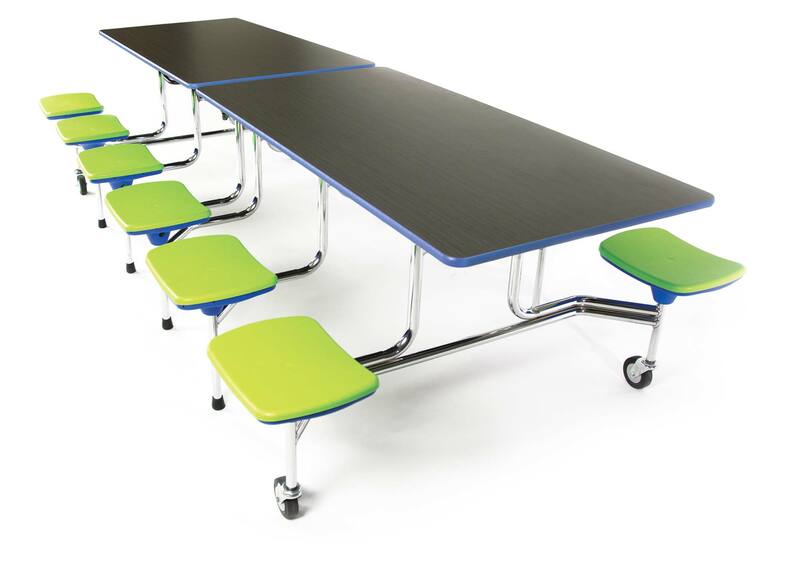 The SICO® 10' TC-65 Senior lunchroom table seats up to 12 K-12 students and offers 20" of table space per seat. 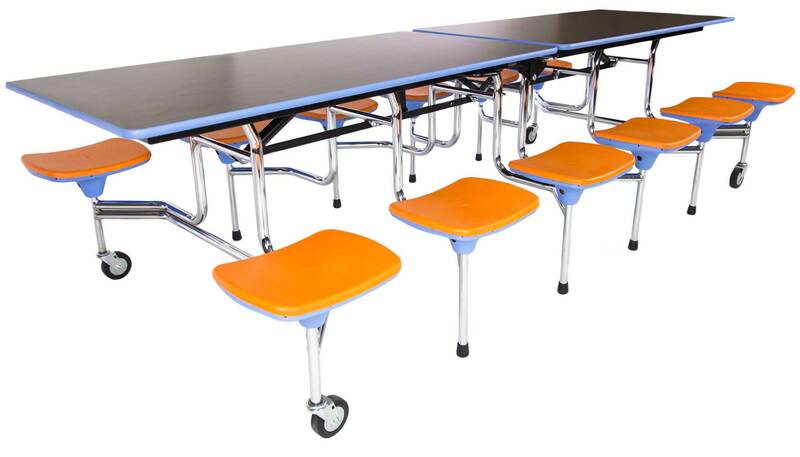 Tables in our TC-65 series serve 25%-40% more students than tables with chairs within the same footprint, so you can maximize your space while minimizing costs. 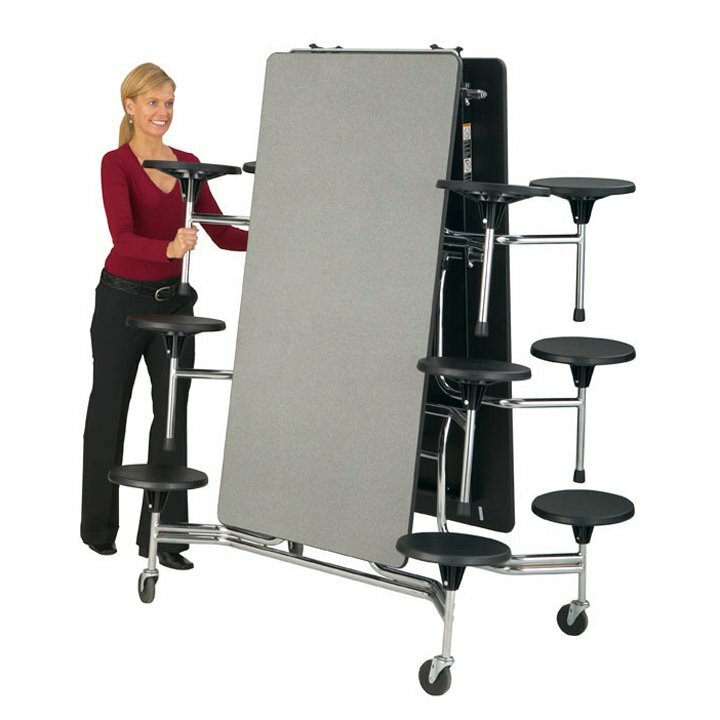 These tables go from stationary to mobile in minutes, saving labor time over traditional tables with chairs. With faster cleanup, lights can go off and energy use can be reduced earlier each day. 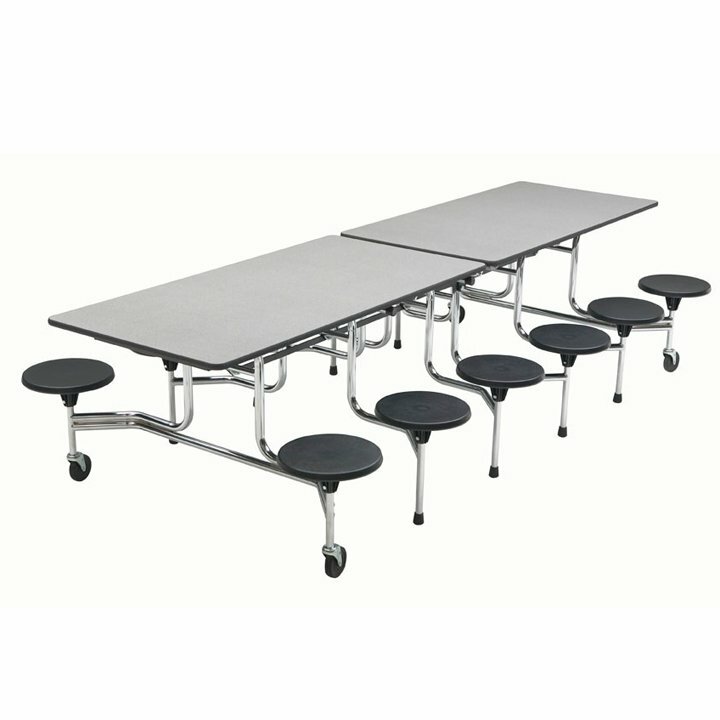 Tables with attached seats eliminate the noise of chairs moving around and banging together. 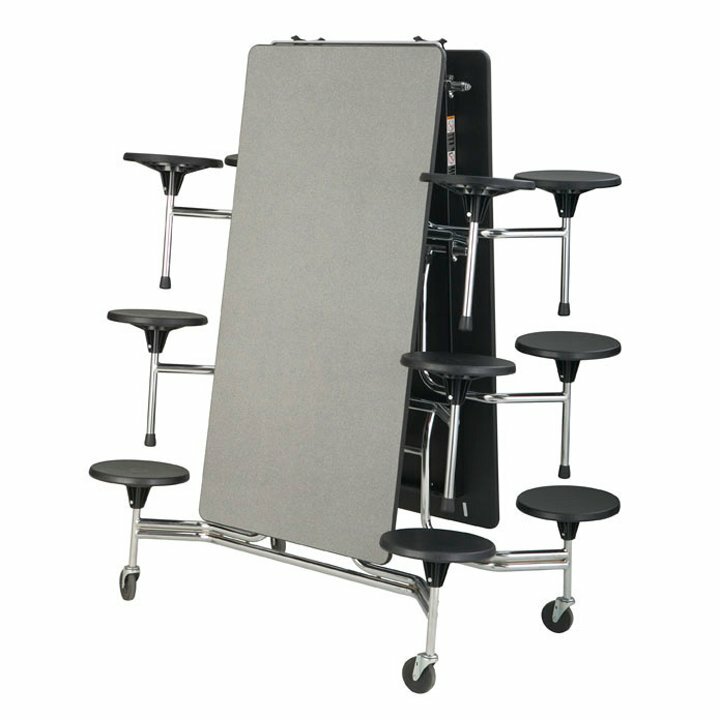 They also eliminate aisle blockage and the student horseplay that can occur with chairs. 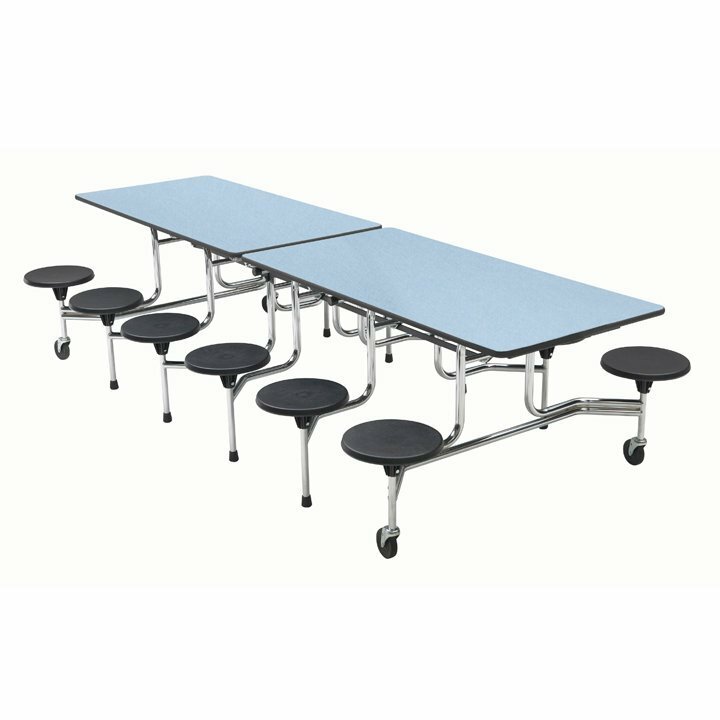 With many laminate top colors and seat colors to choose from, the TC-65 Senior is an attractive table in any school environment. *Weight Dependent on type of stool selected.